The Council of Trade Unions welcomes the Ministry of Social Development’s statement that helping Tranzit recruit for bus-driving jobs that are under dispute was inappropriate. CTU President Richard Wagstaff says the call, made yesterday, is the right one. “The Ministry’s role should be to get people into decent jobs that can support them and their families. They are not there to be complicit in a job-cutting and wage-cutting exercise. So they made the right call. “It’s Greater Wellington Regional Council’s refusal to protect drivers’ jobs and incomes in its selection of new bus service providers that caused this mess. With the Council’s blessing, Tranzit was preparing to replace 200 fairly-paid, good jobs with lower paid jobs and worse hours,” he says. “The Regional Council and its new provider need to realise that things have changed and their race to the bottom at drivers’ expense won’t stand. 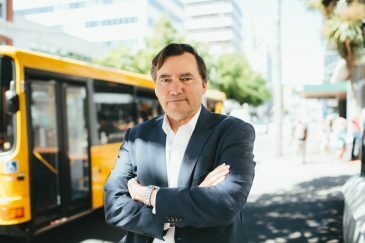 “Wellingtonians rely on their buses to get around every day, and GWRC needs a change in attitude where shortcuts aren’t the priority, quality service is. “Despite everything, Tranzit still haven’t even begun discussing a collective employment agreement with the drivers. They need to start now and bargain in good faith.